HANNIBAL – A worldwide movement to introduce people to computer science has taken hold at Fairley Elementary School in Hannibal. 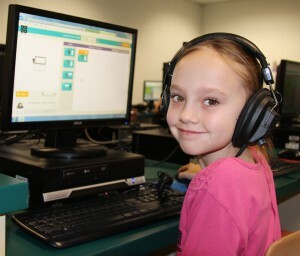 Shelby Trumble, a fourth grader at Fairley, practices computer coding during a recent class. Students in kindergarten through fourth grades recently participated in the “Hour of Code,” which is an introductory lesson to computer coding. 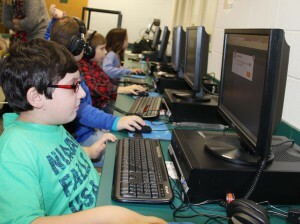 After learning the concept of developing code, students took their knowledge to the library’s computer lab. They immersed themselves in themed code lessons such as Frozen, Star Wars and Minecraft. Fairley students participate in the “Hour of Code,” which is a worldwide movement to introduce students to computer science. Smith noted that she is hoping the event sparks an interest in computer science for students. “If this is something that they like to do and they are familiar with it now, then computer coding is something they may want to consider and explore as a possible career,” Smith said.